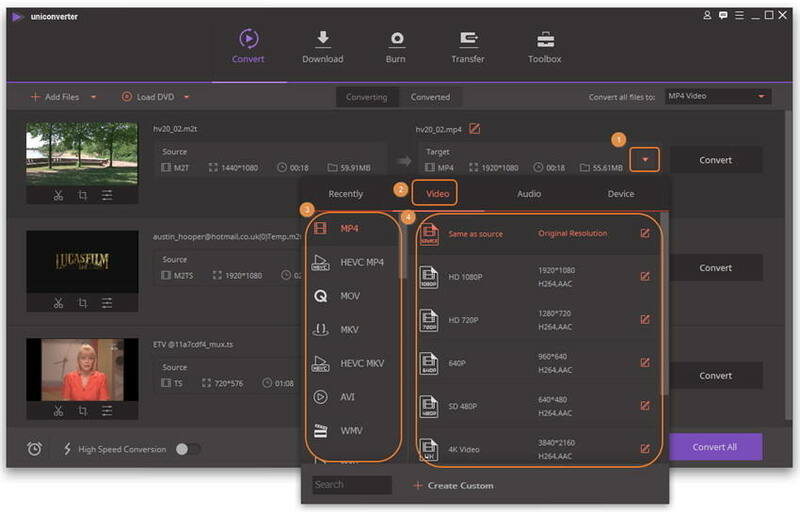 TS, a.k.a MPEG transport stream, is a standard format for transmission and storage of audio, video, and data, and is used in broadcast systems such as DVB and ATSC. To convert your TS files to/from all popular formats with lossless quality in Windows 8, you need a professional and easy to use TS converter: Wondershare UniConverter (originally Wondershare Video Converter Ultimate) (Windows 10 supported). TS converter for Windows 8 can take any TS video from a HDTV broadcasting file and convert them to virtuallly all popular formats, portable media players, mobile phones and PDAs. Meanwhile, converting video to TS format will not bother you any more since you download this TS movie converter windows 10. Want to edit TS file? Just use the TS editor included in this TS file converter. 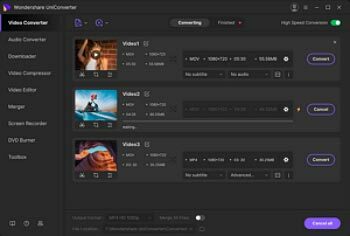 Common editing functions like trim, crop, rotate, merge, subtitles, etc. are all included. Now download the free trial and walk through below detailed guide. Note: If you'd like to directly convert TS to DVD and burn DVD with sharp image and perfect audio effect, please refer to this tutorial: Convert/Burn TS to DVD (Windows 10 included). Run this software, and you'll come to below program window. To add your videos files, there're two ways availble for your selection. Click Add Files to browse your file directory and select the TS videos you want to convert. Directly drag your TS files to its interface in batch. When you import these files, you'll see they show as thumbnails in the left window with full file information, such as duration, size, resolution, subtitles, audio track, etc. You can rearrange the conversion order and preview them by clicking the play icon. As mentioned above, TS video converter for Windows 10 can export tons of formats and presets for various devices. To access the output window, just click the icon from the Target box. Here, you can pick any SD video and audio, HD video, even 3D video as the output. For example, you can select Video > WMV. 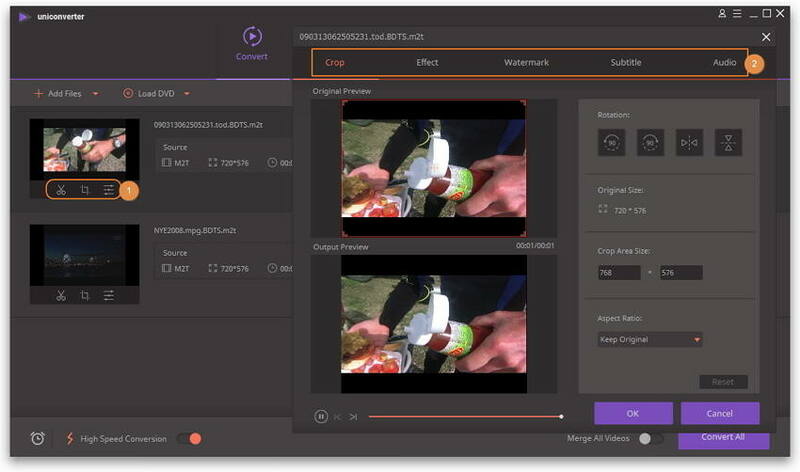 Before conversion, you may want to split or merge some of your interested clips together, crop the black bars to full screen, or add your preferred subtitles to the output. In this situation, the TS Video Converter for Windows 10 also comes a handy TS editor to help you customize it with ease. Just click editing icons under video thumbnail to open up the edit window. Below is the screenshot. When everything goes as you like, just hit the Convert button to let TS converter for Windows 10 take care of the rest. When all conversions completed, you may import the converted to your Kindle Fire, Nexus 7, iPad mini, iPhone 5, or other portable media players to enjoy on the go. Congratulations!